Coach Henna is from Finland. Her husband, Mika, coaches soccer at the University of Richmond. She has three kids, Oona, Iisa, and Eeli. Henna and her family moved from Finland to the US in 2007. 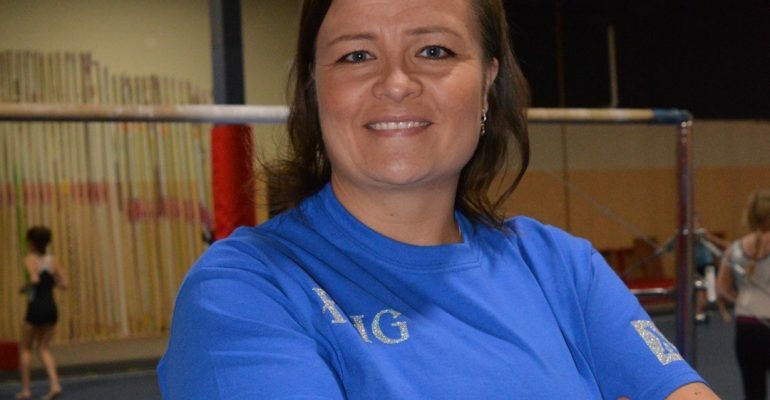 She did gymnastics when she was young and has been coaching for 28 years! Coach Henna absolutely loves coaching the little ones on all events. A fun fact about Henna is that one of her favorite foods is Reindeer! Henna is very excited to be working at Xtreme Heights Gymnastics, and she wishes to make every child feel safe, loved, and encouraged! Coach Henna is USAG Safety Certified, Background checked, and has completed the Safe Sport course. Welcome Coach Henna!